Julieanne Alroe, CEO and Managing Director of Brisbane Airport Corporation, provides an overview of the $45 million International Terminal redevelopment. A great airport, as opposed to merely a good airport, offers its visitors an experience of place that engages, intrigues and impresses. Brisbane Airport (BNE) – the front door to Queensland, welcoming and fare-welling more than 21 million passengers a year – has turned a mundane airport experience into something really special with a $45 million redevelopment of its International Terminal. Over the last 10 years more than $1.3 billion has been invested in infrastructure upgrades to ensure the facilities at BNE support the ongoing passenger growth of the airport. In the next 10 years, a further $2.5 billion will be invested to keep our development in step with demand, while delivering the best possible passenger experience. Despite this investment, when comparing Brisbane Airport to its larger cousin airports in Sydney and Melbourne, BNE has in the past rarely shared the same spotlight as its southern counterparts. BNE is the third largest Australian airport based on passenger numbers (second busiest by aircraft movements) and is one of the fastest growing – making up the important third point of Australia’s busiest air route triangle between Sydney, Melbourne and Brisbane. But it has played third fiddle for far too long. We are certainly very proud of what we’ve achieved over the last decade with BNE being consistently recognised as a leading airport nationally and internationally. This includes being rated as Australia’s No. 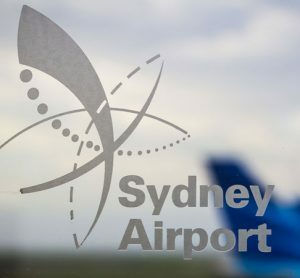 1 airport for quality of service 10 years in a row in an Australian Competition and Consumer Commission survey; coming in third place in the 2014 Skytrax Best Airport in the World (20-30 million passengers); Best Airport in Australia/Pacific; and Best Airport Staff in Australia/Pacific categories. However, despite these awards, BNE strives to be even better. 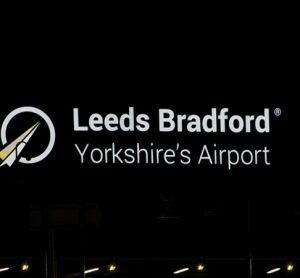 We want the airport to stand out against all the others. Brisbane is not just another airport. To be world-class we need BNE to be different from any other airport in the world. We have to go beyond providing effective and efficient aviation facilities and step up as a host, an ambassador and a showcase for the best of Brisbane. It’s about building – and being – a place that reflects the best attributes of our city, state and country and being an innovative but reliable and collaborative business partner, an agile, imaginative service provider and a genuine and valuable participant in our city, state and nation’s travel industry. While our journey to achieve this has just begun, and will be never-ending as the city and state we represent continues to evolve, it has so far been incredibly revealing and rewarding. Building on a thriving economy, surging tourism and a palpable sense of optimism, we’re setting out a striking new course for the next two decades to shape, create and build the best airport we can. To achieve this we have developed a roadmap covering the corporate vision, development plans, community engagement and more, all underpinned by a commitment to uniqueness, excellence and innovation. Its effects are already evident: a new $1.3 billion parallel runway currently under construction will significantly boost capacity, upgrades to the Domestic Terminal precinct have been completed and a strategy for integrating digital assets and processes into our business is building momentum. Our next major project is a $45 million transformation of our International Terminal. While the building is structurally beautiful and functionally adequate with plenty of room for future passenger growth, there was a real opportunity to make it one of the most beautiful, unique, comfortable and welcoming terminals in the world. In the planning for the last two and a half years, it will be the most ambitious redevelopment BNE has embarked on since the terminal was first opened in 1995. We believe that when complete, the Terminal will establish a global benchmark for airport terminal design and create a truly unique gateway to our new-world city, reflecting the enviable lifestyle and natural assets of Brisbane and Queensland. Our ambition is to provide Brisbane with an International Terminal it deserves, which celebrates the character of Brisbane and Queensland. Before tackling a major redevelopment of a place that is visited by millions of people each year we knew we had to step back and look at things from the outside in rather than inside out, so we harnessed a raft of talent for the project including international travel, transport and branding guru, Tyler Brûlé, as well as two local Brisbane architectural firms; Richards and Spence and Arkhefield for the project. Melding the views of those who live in and love Brisbane with those who can cast a wholly independent and objective ‘traveller’s eye’ over the airport, helped us to create a design that will effectively fuse form with function in a way that complements our city and state, while evolving the often sterile airport ‘processes’ into a more enjoyable experience. Iconic: Which is about being representative of a bigger idea and, in this instance, the bigger idea is the beauty of Brisbane and Queensland that lies beyond the airport gate. We want to represent these places while avoiding kitsch and novelty; instead teasing out the essence of the Queensland experience in a sophisticated and honest way. Vibrant: Primarily in terms of people rather than colour. Queenslanders are friendly, inviting, gregarious and charming in an understated way and we want to celebrate their great positive human energy. 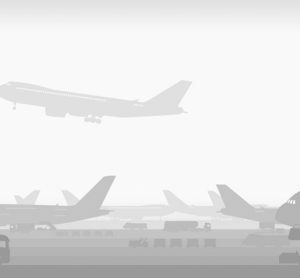 Engaging: We want to debunk the timelessness and placelessness that defines so many modern airports. We want the environment to directly engage passengers so they can acknowledge where they are and leave with distinct memories of time well spent. Place-making: The task of place-making is to bind the passenger to the Queensland and Brisbane story through design, art, customer service and digital experiences. In taking this approach we believe we’ll create the world’s most ‘liveable’ airport. By liveable we mean an airport that is a comfortable experience, one that promotes health through immaculate cleanliness and the ability to revive both body and mind through a connection with nature. Liveability is also about creating a place that is anchored to a sense of place, a space that authentically connects with the history, materiality, geography and the vibrancy of the Queensland style. It’s about intuition and productivity, allowing people to meet their needs easily, quickly and safely, while recognising the needs and values of working travellers and ensuring that they can be productive throughout their experience. 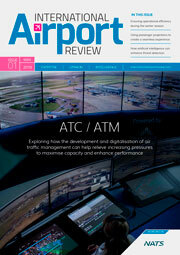 Defining the theming principles is one step, applying them to the built environment is another challenge and it was essential the theme scheme respected and built upon the majesty of the original design of the terminal building which features an iconic parasol roof and sweeping views of the apron and runway. To more accurately reflect and recreate the Brisbane and Queensland experience, our goal was to deeply embed the DNA of our city and state within this space by creating an environment that extends the Brisbane experience for all who travel – giving them a springboard into the city or one last interaction with the liveable, loveable place and people they are about to leave and to which Brisbane Airport Corporation (BAC) trusts they’ll return. To do this we’re bringing in iconic Brisbane and Queensland elements including locally-sourced stone, timbers and plants which will define dedicated dwell, work and relaxation areas. Specialty stores that are easily accessible and offer locally-sourced and bespoke products from Queensland designers and artisans that will add another dimension to the retail experience. A walk-through Duty Free concept and a dedicated retail ‘high street’ will encourage a natural and pleasant shopping experience, providing a smooth and uncomplicated journey through the range on offer. The lighting, air quality, sounds, scents and even the soap in the bathrooms will also add to the unique Brisbane experience. Artworks from local artists will adorn large areas of the terminal, with a particular focus on the Arrivals Concourse where every international visitor will be welcomed by a 720m x 2.5m artwork by Indigenous artist Sally Gabori. This incredible piece of work titled ‘A sensory hug’ will, with its vibrant colour and energy, awaken and stimulate the senses of weary travellers as they enter the ‘front door’ to Brisbane. The central dwell zone in our Departures Zone will also take the shape of an ‘outdoor room’ in reflection of Brisbane’s warm climate, subtropical environment and healthy outdoor lifestyle. It will resemble a plaza environment rather than an airport departure lounge with a pavilion housing food and beverage, a perimeter water feature and a clock tower. Within this setting we expect passengers will do more than just wait, they will shop, linger, picnic on the ‘green’, work, study, relax, eat and play, turning non-time into ‘me’ time. 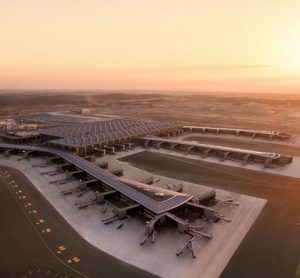 Of course the development will take place while the terminal remains in operation 24/7, so the redevelopment will be delivered in stages to ensure day-to-day operations continue as per usual. This means passenger check-in, processing and departures will not be affected and there will always be retail and dining areas available for passengers. As areas change during the construction, new way-finding signs will be in place to help passengers move easily through to their destination. Significant events such as the G20 Summit – being hosted in Brisbane in November 2014 – have already been factored into the redevelopment construction staging. So it’s an exciting fresh new path we’re embarking on and one which we know will help BNE to become one of the world’s best airports, even if it’s not one of the world’s biggest. Travel, transport and branding guru, Tyler Brûlé, also cast his independent and objective global traveller’s eye over the airport to help BAC plan for the future and meet its vision to create a world-best airport experience. 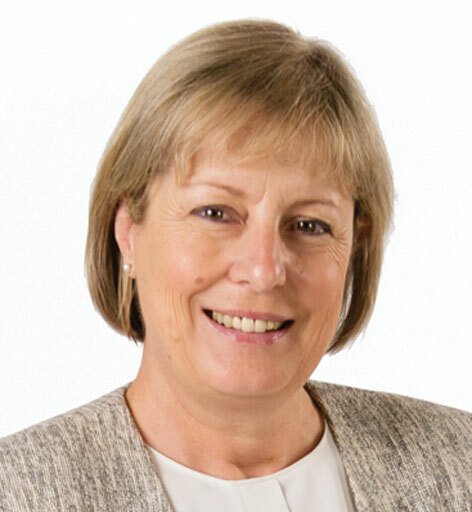 With nearly 30 years’ experience in various senior management and operational airport roles, Julieanne Alroe has headed up Brisbane Airport Corporation since 2009. She has extensive working knowledge of commercial airport management and operations, infrastructure management, business and airport planning, corporate affairs, airport scheduling and slot management, security, passenger facilitation, terminal management and airport IT systems.